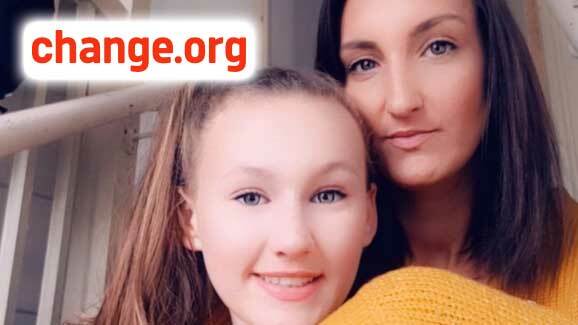 My 13 year old daughter Edie suffers with Irlen Syndrome – a condition that affects how her brain processes the things she sees. It makes words move around on the page when she’s reading and makes her very sensitive to natural light meaning she can’t go outside for long. She needs special coloured lenses to help her live a normal life – but the NHS won’t fund it. Edie was also previously diagnosed with dyslexia in 2017. Children with dyslexia are entitled to certain support throughout their education – but because Irlens is not recognised by the NHS there is no mandatory support and everything has to be funded by parents.